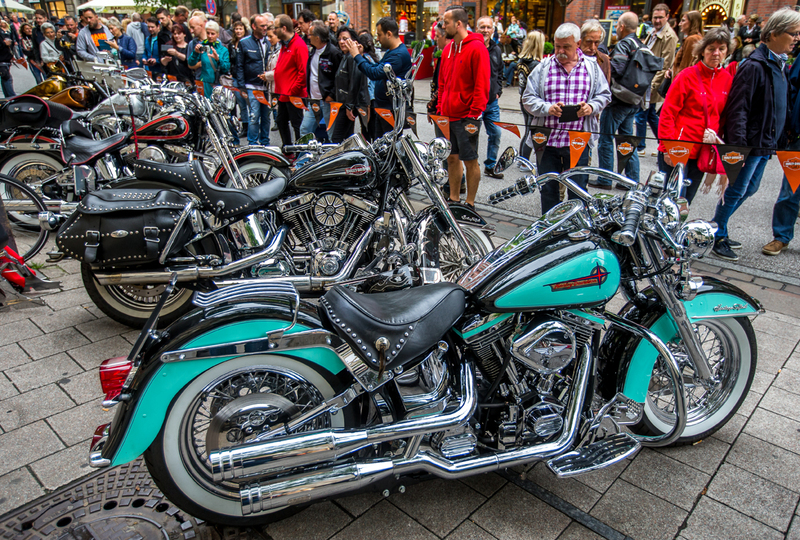 The Harley® Village on the area of the “Großmarkt” is the base for many participants of the event. Apart from the official dealers, you can find a lot of trade and extra equipment all around the brand Harley-Davidson®. 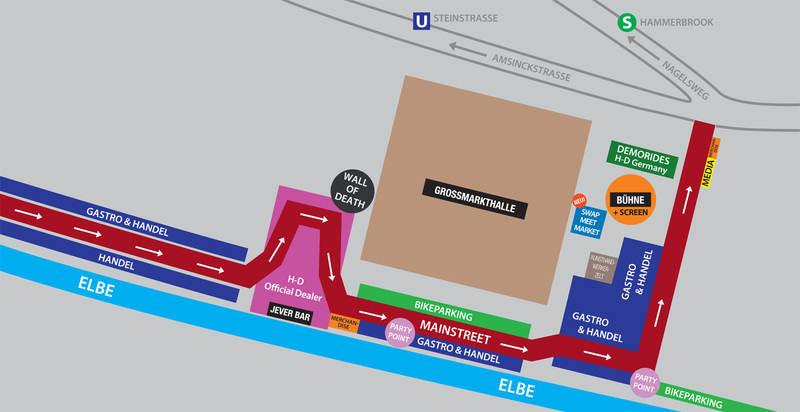 The main stage is the starting point for the demo-rides and for the big parade on sunday. Usually the “Großmarkt” is a commercial central market for groceries and flowers. When you can still hear the roaring of engines on the Großmarkt premises late at night, there’s already a lot going on in the heritage-protected Großmarkthalle. Over 5.000 merchants and caterers regularly buy their fresh products here. As ‘the green heart of the city’, Großmarkt Hamburg guarantees the urbanites’ healthy diet for 56 years already. 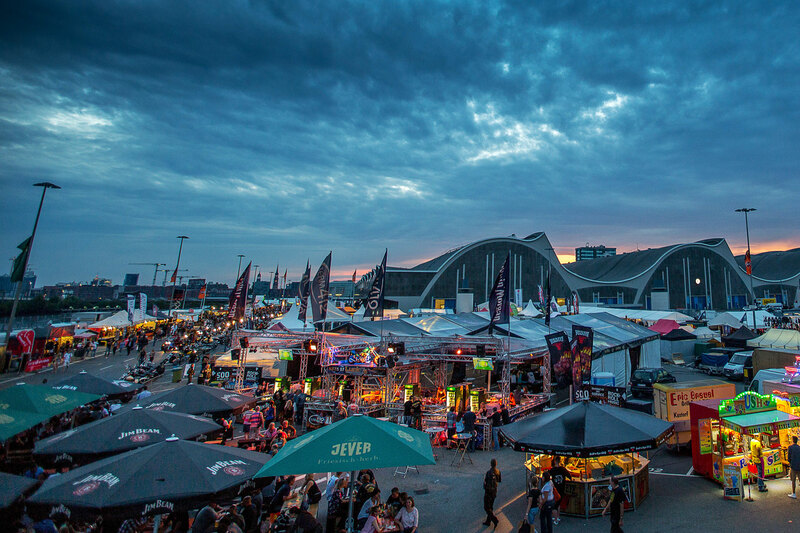 Not only huge events like the Harley Days but also the FOOD MARKET HAMBURG, a culinary highlight at 8th & 9th of September, have been in the event agenda for many years. Further Information during the Harley Days at the ‘fresh’ Großmarkt stand (west side of the area) or at www.grossmarkt-hamburg.de. The ride-in bike show takes place here on saturday – an exhibition for all bikers, who made every effort with customizing their bikes. For them it’s about honour, because the most beautiful and most spectacular bikes are getting rewarded in 8 categories from Buell to Radical Custom. Thousands of visitors attend the spectacle at the shopping promenade in the city centre! 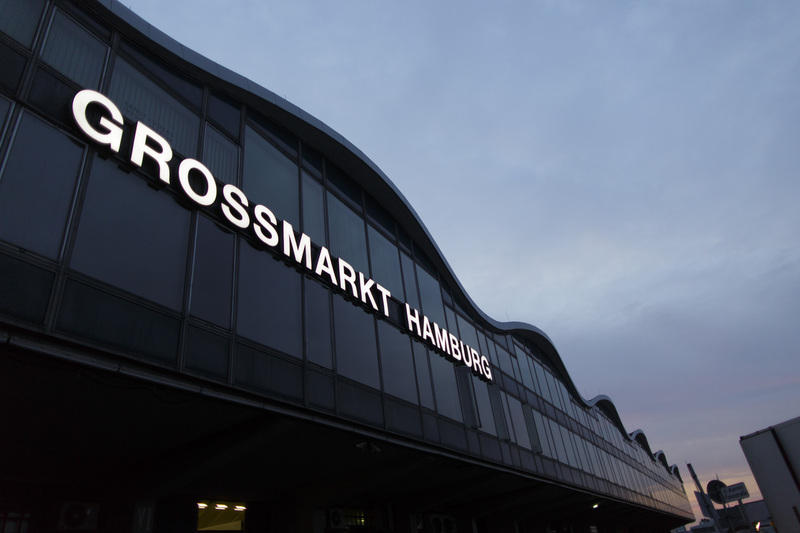 We give thanks to the Hamburg Chapter, for the implementation of the bike show! 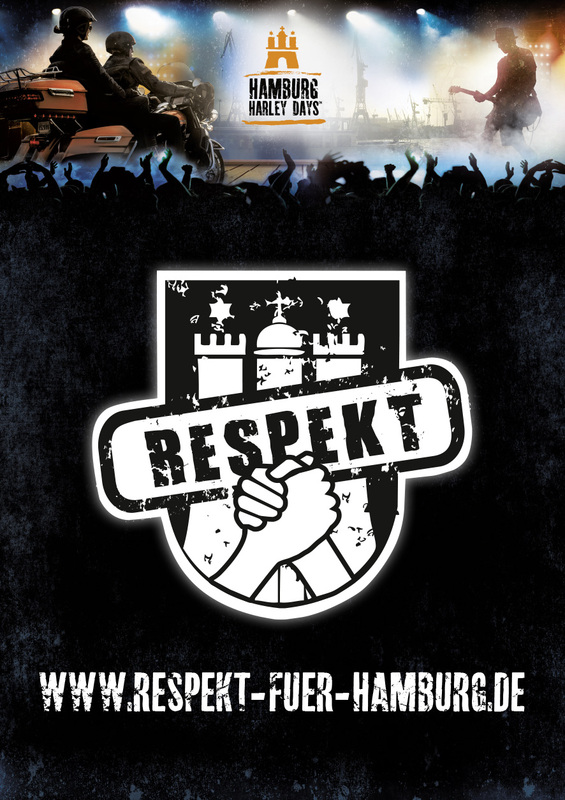 The “Reeperbahn” is the heart of Hamburgs red light district and well known across international borders! 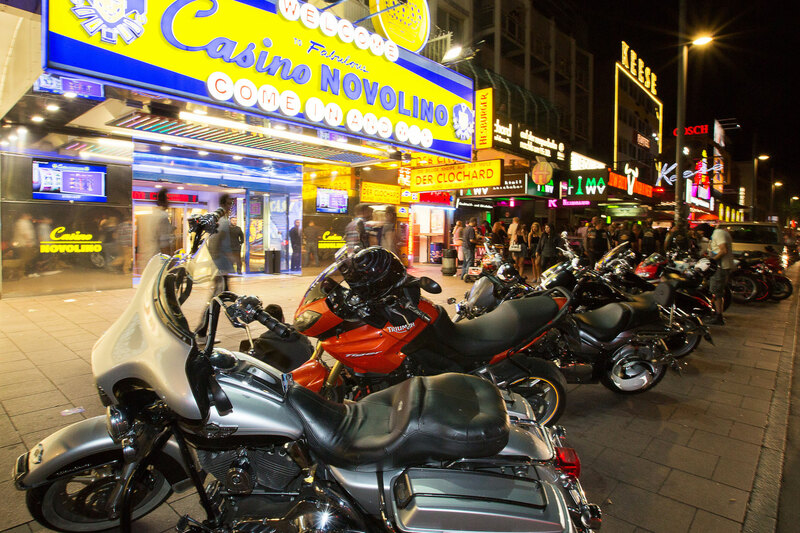 A side-location of the Hamburg Harley Days® is the “Spielbudenplatz”, the biker-party-mile at the Reeperbahn! 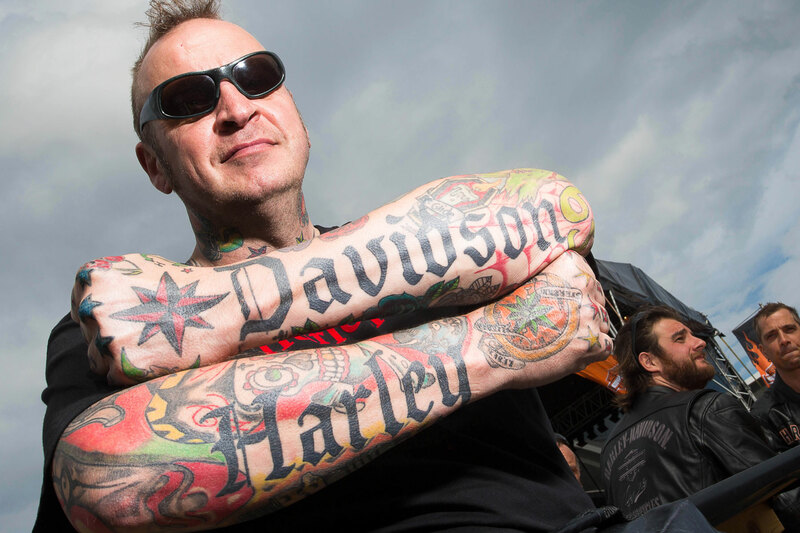 The longknown rocker-pubs, entertainment, a selection of Harley®-dealer, currywurst-huts and pretty women of course ensure you the popular place-to-be, at the latest by the time, the Harley Village shuts down!